Norman L. Zahnow, 67, of Manor Drive in Fredonia died Wednesday, March 1, 2006 at St. Luke’s Medical Center in Milwaukee of complications after back surgery. He was born June 5, 1938 in Dalton, Minnesota to William and Helen Kitchen Zanow. Growing up in Fergus Falls, Minnesota he attended local schools and worked in a bakery there. He moved to Milwaukee and worked in a bakery for about ten years. He also drove school bus and worked for Square D Company in Milwaukee. He met Joy Orleans of Milwaukee and they were married June 4, 1962. In 1966 he took a job with the Downtown Post Office driving truck to and from the airport. He worked for the post office for over 39 years, currently working in the motor vehicle department. In 1971 he moved his family to Fredonia. He worked hard, but always had time for his boys. 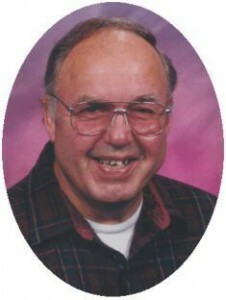 Norman was an avid Minnesota Vikings fan, mechanically inclined and good with his hands. He had a great sense of humor and was always ready with a joke or two. He enjoyed playing cribbage, fishing and family vacations. Norman was a great friend and confidant to many. He is survived by his wife Joy of Fredonia, sons Lance R.(Susan) Zahnow of Caledonia, William C Zahnow of Saukville, Timothy N. (Sharon) Zahnow of Fredonia, Theodore A Zahnow of Hingham and Joel A Zahnow of Fredonia. He was a proud grandfather of 11 grandchildren. Further survived by a brother Willie (Leona) Zahnow of Appleton, MN, sisters Mertice Sauer of Fergus Falls, Minnesota, Evelyn Niemuth, Elaine Pesek, Dolores “Lolly” Gilbertson all of Milwaukee, Luann “Annie” (Ray) Gackle of Frederic, Wisconsin, Donna (Vern) Cavalier of Appleton, Minnesota, other relatives and friends. He is preceded in death by his brother Eugene Zahnow and a sister Doris Zahnow. Pastor Paul Hanson will officiate funeral services 5 pm Sunday, March 5, 2006 at Portview Christian Center in Port Washington. Interment Highland Memorial Park, New Berlin, Wisconsin. Family will receive friends 2 – 5 pm Sunday, March 5, 2006 at Portview Christian Center in Port Washington. Memorial appreciated.